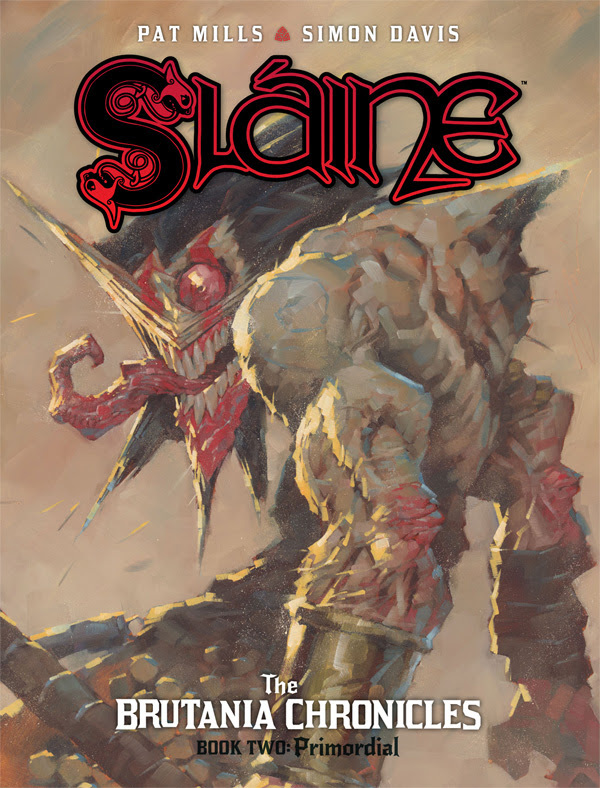 The next volume of Sláine is out now! Albion, in a time of legend. Celtic warrior Sláine united the tribes of the Earth Goddess Danu and became the first High King of Ireland. After ruling for seven years, he travelled through time to fight for the Goddess in other eras before returning to save his people from the Fomorian sea devils. Now, having journeyed to Monadh to rescue Sinead from the Drune Lords, he must face the powerful might of the Trojan army and their superhuman warrior, the Primordial, in a battle to the death! This thrilling continuation of The Brutania Chronicleswas written by 2000 AD creator Pat Mills (Marshal Law) and features the breathtaking, painted art of Simon Davis (Sinister Dexter).